Una spedizione formata da Federico Mesquita Rossi e la sua compagna Isabella sta affrontando un viaggio intorno al mondo per una campagna rotariana di prevenzione sull’epatite che ha lo scopo di combattere questa malattia che colpisce più di 400 milioni di persone nel mondo. 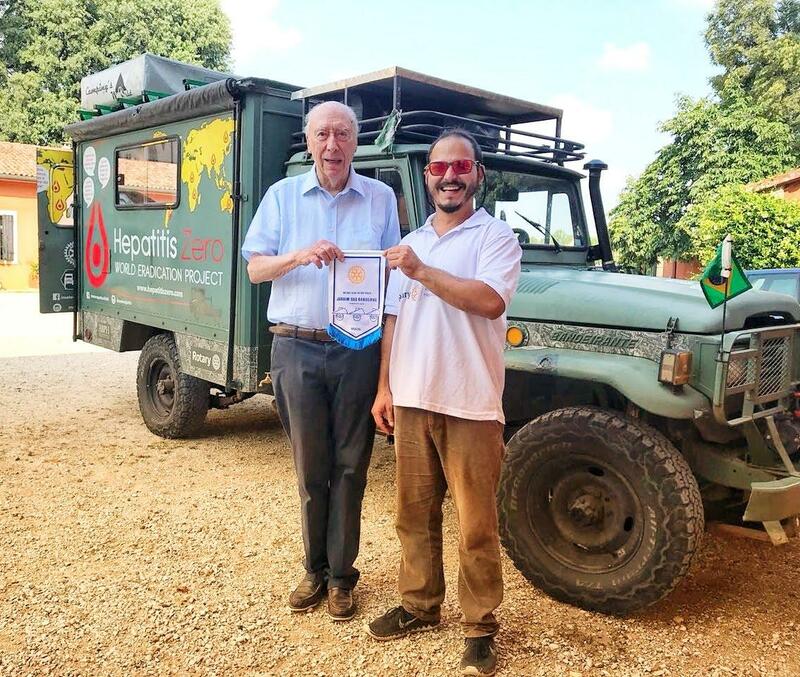 The humanitarian expedition that brings a message from a Rotary campaign: “Hepatitis Zero” – for the eradication of the disease globally is on its way round Europe. 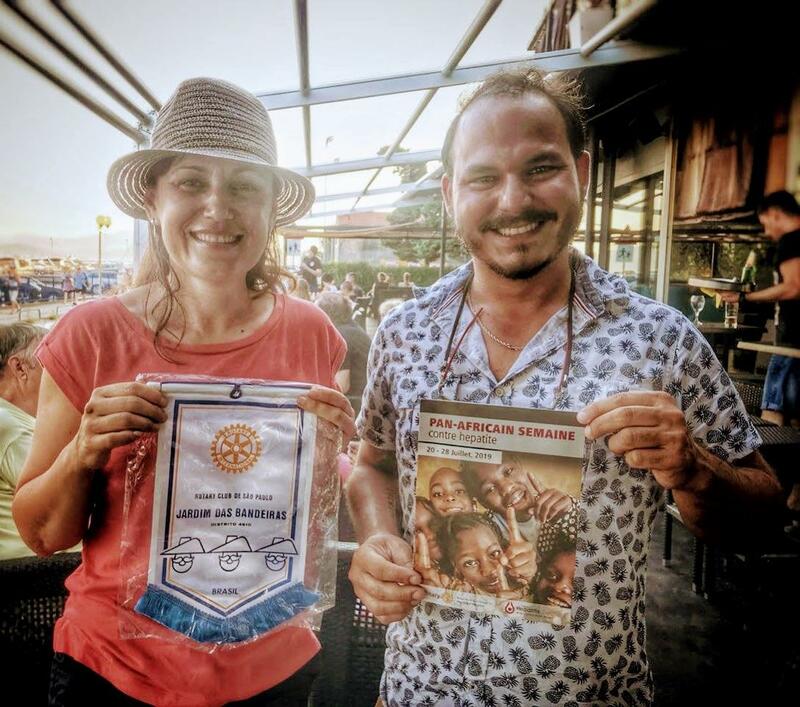 Frederico Mesquita Rossi (Fred) and his companion, Isabella, are traveling around the world in a different way: spreading information about how hepatitis and showing how it can be prevented as part of the Rotary campaign which aims to eradicate the disease that affects at least 400 million people around the world. On board his car, “Carona” (Ride -the nickname Fred affectionately uses for his car), an especially adapted 1998 Toyota Land Cruiser, Fred will act as an ambassador of the “H0” project on the journey that will take almost four years traveling the five continents, covering 120,000 miles, passing through more than fifty countries. “My idea is to go beyond just an around the world trip; to give real meaning to this tour. I am making people more aware about viral hepatitis, one of the biggest global health problems, which kills twice as many as AIDS. My work will be that of a social project, showing that with early diagnosis it is possible to treat and even eradicate the disease”, says Fred, 33, a trained actor and an experienced traveler. Worldwide, there are already more than 400 million people who have hepatitis B and C. The World Health Organization estimates that only 5% of these have been diagnosed. More than 80% of severe cases of liver disease such as cirrhosis, cancer and even organ transplants occur as a consequence of hepatitis B or C. Hepatitis C can be fatal, but if diagnosed in time, the sufferer can be 100% cured, in the cases of hepatitis A and B there are vaccines for prevention of these diseases and medicines for treatment and cure. 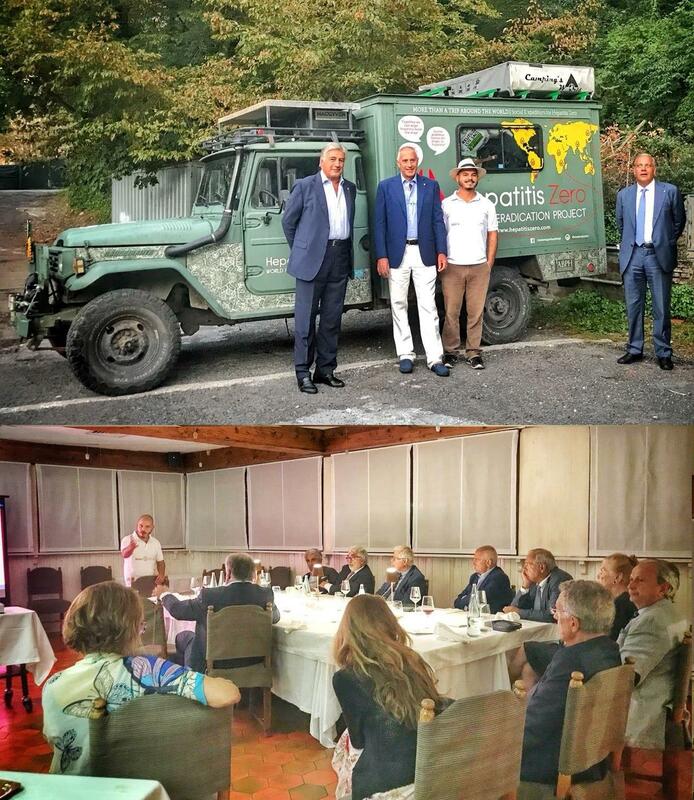 The “Hepatitis Zero” campaign and the expedition of the same name are projects supported by the Rotarian Action Group for Hepatitis Eradication – the newest R.A.G. accepted by the Rotary International Board. This Group recently presented the Pan-African project at the “Rotary African Summit” in Marrakech, Morocco (2018). Suffering from a asymptomatic virus and unaware that he was close to death, Humberto Silva, the founder of the campaign, was inspired by his own experience of being a victim of the disease called “the silent killer”. The 53-year-old Brazilian discovered that he was infected by chance, when his doctor prescribed routine clinical exams. Thus, after 38 years carrying the virus without having the slightest idea of its existence, Humberto was diagnosed with cirrhosis, starting from that moment the fight that enabled him to escape death following a long, tortuous battle. Silva, who is now 100% cured, made the vow to God to “work until the end of his days” to radically change the situation of hepatitis globally. The “old continent” is the third stage of this great challenge of traveling the globe by car; in which the ambassador of the R.A.G. for Hepatitis Eradication “Hepatitis Zero” project intends to visit its main countries and to meet with Rotary´s numerous clubs. 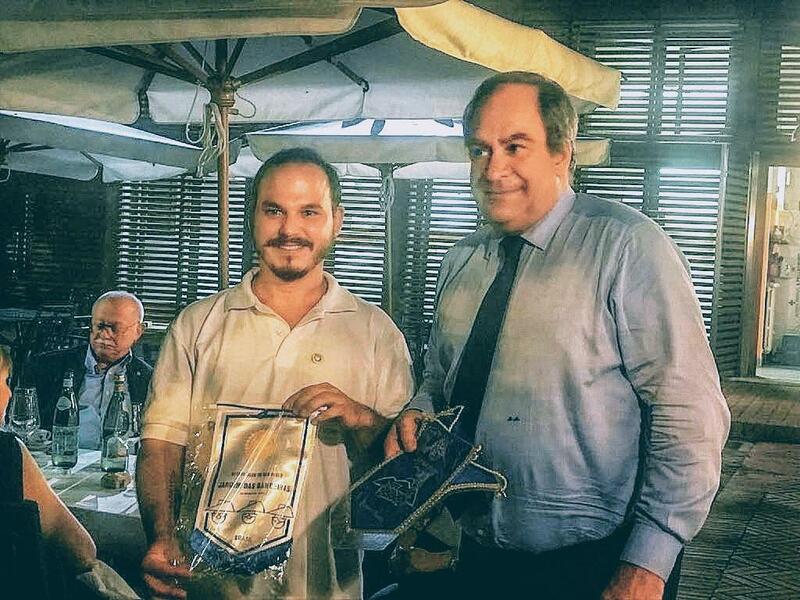 Thus, after Fred´s arrival in Holland, Italy is another part of this European leg of the trip and here he will meet with representatives of Rotary clubs in the main cities. He has been welcomed by his fellow Rotarians, who listened to the proposals of the global eradication project. “Pan-African Week” – How to participate? To promote the cause in their club, the ambassador should ask for the floor and then give a brief talk of up to five minutes about hepatitis, its risks and the importance of raising public awareness. The support materials are available on the site. The base fundraising target for each ambassador in their club is $600, enough for two hundred tests. Through this action, twenty people could be diagnosed and saved. 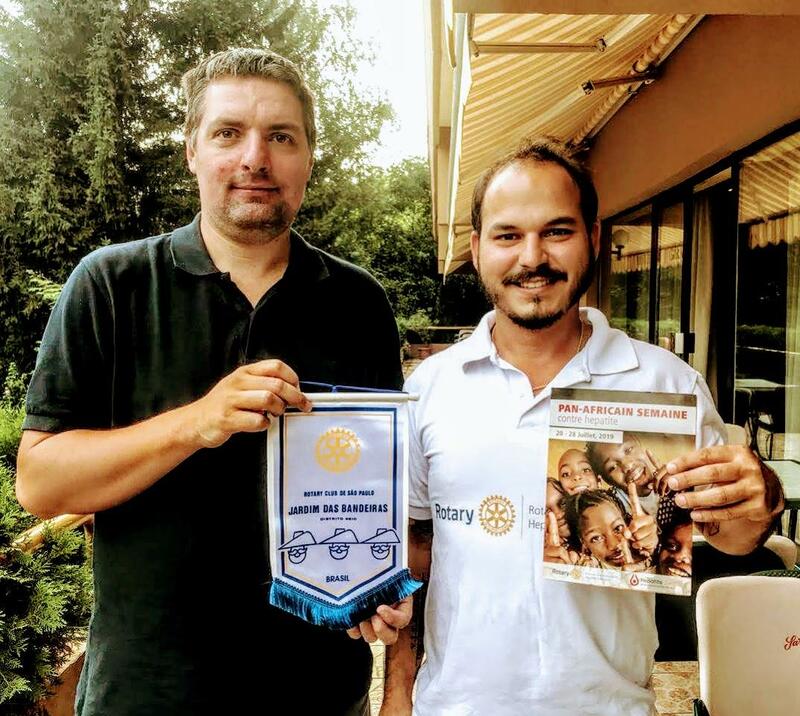 The Ambassador can achieve this goal: as a personal initiative, either through obtaining financial support from their club (with the member´s approval), or by recruiting Rotarians for small, voluntary donations, reaching a total of at least U$600 by May 31, 2019. Whenever possible, in private meetings or meetings of Rotarians,they should identify themselves as an “Hepatitis Zero” ambassador and talk about their mission. They should also spread the message through their contacts and be the spokesperson for the “Pan-African Week” in the local media. In addition they need to publish something about the cause on social networks at least once a week. Fred is bringing with him the message from the founder of this great campaign on this expedition, which just was recently in Bosnia and is now on his second visit to Italy, after having travelled close to seventy thousand miles through large parts of Brazil, Uruguay and the main cities of Argentina, Chile, Peru, Ecuador, Colombia, Panama, Costa Rica, Nicaragua, Honduras, Guatemala, Belize, Mexico, United States, Canada, Iceland, Portugal, Spain and Croatia.